By definition, endowment insurance is a life insurance contract made to pay the insured a lump sum after the maturity time or on the time of his or her death. In short, endowment insurance is a time-locked investment that you buy from an insurance company. The lump sum stated in the contract will be given to the intended beneficiaries. If the policyholder outlives the maturity period, the endowment will be given to him or her. Endowment insurance is a combination of both investment and life insurance. The longer the maturity period, the less expensive your monthly premium becomes. Unlike other insurances, there is no prerequisite for getting endowment insurance. You don’t even need to get a medical exam in order to qualify. As a matter of fact, any person is qualified to get it, as long as he or she can pay the monthly premium. What are the Benefits of Buying Endowment Insurance? The money that the insured paid for his or her endowment insurance can be taken out and used upon maturity. Endowment policies mature after a certain period of time – usually between 5, 10, 15 or 20 years. If you are planning to save money for your kid’s college or set up a business in the future, investing in endowment insurance can help you to save up for it. Endowment insurances carry fewer risks as compared to other investment types. The money that you paid quickly accumulates. Over time, your money will earn more interest. You can claim the lump sum indicated in your insurance policy after the maturity period that you chose. What is the Difference Between Endowment and Medical Insurances? Medical insurances, unlike endowment insurance, can only be used during hospital-related and other medical expenses. You cannot use medical insurance to fund your business or send your children to college in the future. Additionally, some types of medical insurances do not return the premium paid. Putting your money on the right investment can help you when you need it most. You will have peace of mind knowing that you will have something to rely on financially, in case medical emergencies happen. If you want to have a secured financial future for yourself and your family, choosing endowment insurance is one of the best ways to go. As a guideline, create your own list that you’d like a fitness centre to have. This will make it easier for you to cross out the ones that don’t cater to your personal needs. Your list of ‘must-haves’ could be a particular training, a spacious workout area, personal training options, or a variety of equipment. Check their websites or social media If you haven’t been to the fitness centres of your choice, check out their websites or social media to find out the facilities and other promotions. You can also read their customers’ testimonials, which may contribute to your final decision when choosing the right centre. Take advantage of introductory classes/promotions Most fitness centres normally provide complimentary introductory classes and other similar promotions (i.e. free use of gym equipment/studio for one hour), so be sure to take advantage of that before you make a decision and visit a fitness centre near you. Choose a convenient location To avoid inconveniences (like traffic jams or lengthy commute) and excuses, it’s best to choose a fitness centre based on your lifestyle and location. If you plan to work out everyday during lunch hour or after work, perhaps you can choose a centre near your office. If you plan to work out on the weekends or weekday mornings, choose a centre near your home. Check out the centre’s membership contract Before you seal the deal, read through the contract right to the last detail. Bring up any important things such as discounted memberships during off-peak hours, additional items (i.e. towels, robes), discounted group class/therapy, and additional charges that may have come with certain classes. Before you make that long-term commitment, ask yourself if you really need a fitness centre to achieve your lifestyle goal? A membership could be costly, so sign up for it only if you’re ready to commit. Watch out for sneaky payments and extra costs that some centres love to charge. When visiting a fitness centre, you also need to consider how clean and well maintained the centre is. A dirty gym or fitness centre that reeks of sweat is a huge turn off, and can ruin your mood. Construction Manager – Don’t believe the myth that says that those who work in this industry can’t make money or move up the career ladder. This job could earn you a six-figure salary a month, and requires you to plan, budget and manage a construction project. To be a construction manager, you need to have at least a bachelor’s degree in engineering, building science, construction science, or other related field. For those with a diploma, you also need to have years of experience in order to qualify for this role. Some of the skills that you should have include strong communication skills, managerial skills, and analytical or problem-solving skills. Glazier – As a glazier, your role is to remove, seal, fasten, install, and cut glass for skylights, storefronts, and windows. Most glaziers normally work in areas that include building exteriors, structure, and foundation. However, there are a growing number of glaziers working for indoor projects as well. To become a glazier, a high qualification isn’t really necessary, though having some experiences might help. Concrete Finisher and Cement Mason – Many construction projects have a common foundation, which is concrete. This makes a concrete finisher and cement mason crucial in this industry. The jobs normally involve you installing reinforcing materials like rebar, pouring a mixture of cement and spreading and leveling it, and also monitoring the mixture’s hardening process before applying sealants. These roles don’t require a high qualification, but it’s better if you learn your trade by undergoing an apprenticeship or taking masonry-related courses. Blockmason and Brickmason – Stones and bricks have become expensive materials, but they’re still on-demand. These materials need skilled masons to lay them properly. While a high qualification isn’t necessary, it helps to undergo a formal masonry training or apprenticeship. Alternatively, you can also learn the basics of masonry on the job. Construction Worker – While a construction worker earns the least in this industry, you get to learn everything hands-on which could give you an upper-hand should you decide to move up the career ladder in this industry. You can become a construction worker with no qualification or experience, though you have to work extra hard to progress in your career. Part of your daily tasks may include assisting with unloading and loading materials, site clean-up, operating equipment, digging ditches, and making measurements. Becoming a construction worker could also give you an idea of what you actually prefer to do in this line of work, since you work on pretty much everything. To work in the construction industry, you can’t be afraid of heights, especially when you have to work on site. You have to endure any discomfort on a daily basis, including hot weather and strong wind. You also have to stay safe and be aware of your surroundings all the time to avoid fatal accidents on site. A lot of companies and organizations looking for new employees often require applicants to be knowledgeable about basic Microsoft Office applications like Word, PowerPoint, Access, Publisher, and of course Excel. This is especially true for companies and organizations whose operations rely on information technology and software programs. With that said, being able to use Microsoft Excel significantly improves an applicant’s employability. It provides the job-seeker an edge over other applicants who don’t know how to use the program. A laptop or desktop computer powered by a Windows operating system automatically has the Excel program installed. Anyone can learn the program by tinkering with its many functions or by reading through the program’s manual. However, this can be a very frustrating learning exercise since the instructions can get very technical. It’s advisable for people who want to learn how to use the program to sign up for Microsoft Excel training courses. These are affordable courses that are usually divided into two categories: basic courses and advanced courses. Learning the program is a lot easier through a training course because applicants are taught in a step-by-step basis. Learners have two main options in availing themselves of Excel training courses. They can enroll in a traditional school offering the courses, or they can sign up with courses offered online. The latter is recommended for people who want flexibility in the training course. Online courses often allow learners to go through the lessons in their own time and pace. This enables them to master a lesson before moving on to a more difficult one. Another great feature of online courses is that learners can sometimes go back and review previous lessons if they’ve forgotten a lesson or two. As mentioned earlier, a lot of companies and organizations look for new employees who are literate in Microsoft applications like Word, PowerPoint, and Excel. So if a job applicant submits a resume which says he is knowledgeable in Excel and other programs, that will be looked upon as a plus point by the hiring manager. In short, Excel literacy is very helpful in boosting a job-seeker’s employability. Deepavali is one of the most waited and celebrated holidays in Malaysia. It’s a holiday that pays tributes to Lord Rama and his wife Sita. Like many other festivals in the country, Deepavali is celebrated by all races. It is also known as “Diwali” or “Festival of Lights.” As with most festivals, Kuala Lumpur (KL) is brimming with activities in celebration of the religious holiday. If your visit to KL coincides with Deepavali, here are some places you can check out. More commonly known as simple “Little India,” this medium-size urban area is located just five minutes from KL Sentral Station. While it is always festive-looking year-round, Little India is even more bursting with activities days before Deepavali as people shop for spices, religious items and traditional clothes to wear for the religious holiday. Little India Brickfields is famous for its beautiful yellow arches which are great backdrops for any KL photo-op. There are many Hindu temples in Kuala Lumpur. We recommend visiting Sri Kandaswamy Kovil in Brickfields and Sri Mahamariamman Temple in Chinatown. Hindus conduct their ceremonial rites and prayers in the morning. When visiting any religious venue in Malaysia, make sure you dress appropriately. Sleeveless tops and shorts are not permitted inside the temples so make sure you carry a large, long scarves to cover up. Deepavali is one of the biggest holidays in the country and as such, major shopping malls in KL are lavishly decorated with Deepavali decors and lights. Suria KLCC is located right below the majestic Petronas Towers. Pavilion KL and The Gardens Mall are two of the high-end shopping venues you can also visit. Batu Caves is one of the most iconic and popular tourist spots in Malaysia. The caves are located 12 kilometers north of KL. You can reach Batu Caves easily via the KTM Komuter train at KL Sentral Station. See the KTM Komuter timetable for the list of departures to and from the caves. We suggest getting there in the morning to avoid the large crowds and the midday heat. A gigantic statue of Lord Murugan stands proudly at the foot of the caves at 42.7 meters in height. The statue is made of 1,550 cubic meters of concrete, 250 tons of steel bar and 300 litres of gold paint. This religious holiday also commemorates the triumph of good over evil. Families all around Malaysia celebrate this national holiday by coming together, eating traditional Indian, Malay and Chinese delicacies and watching fireworks display. We hope that these tips can help you enrich your KL travel itinerary during the Deepavali holiday. Port Dickson, or PD for short, is a coastal district located in Negeri Sembilan, Malaysia. It remains to be one of the lesser known tourist destinations in the country for foreign tourists but is slowly gaining popularity because of its beautiful beaches. 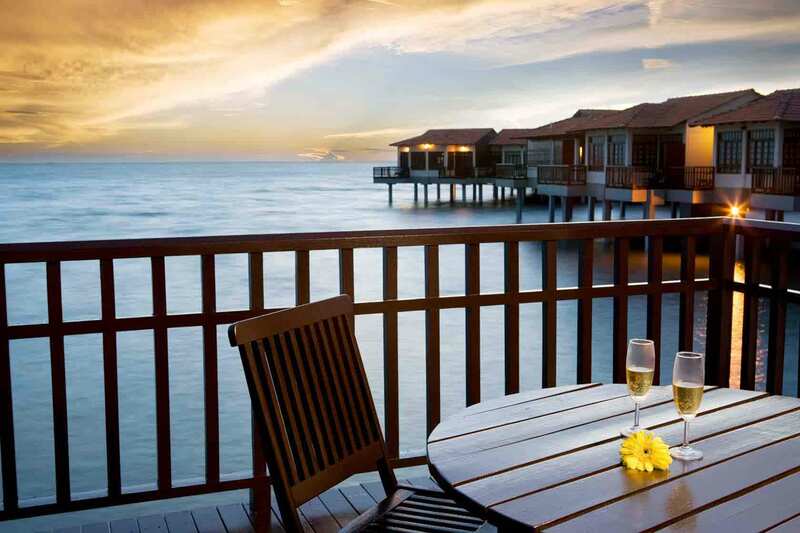 While a Port Dickson hotel by the beach can offer you scrumptious delights every day, we give you 4 must-visit food havens in PD that serve good eats to both locals and travelers. If you’re planning to visit soon, don’t miss these food spots. Medan Selera Bandar Port Dickson Commonly known as PD’s Old Pasar Food Court, this buzzing food stop is a great place to have brunch. Try the Hainanese chicken rice dish. The serving portions may look small for the average foreign traveler but believe us, these small dishes are packed full of bright flavors. It is also a great place to people watch as locals dive into their noodle bowls and engage in light conversation. Lucky King Bun at Lukut, Port Dickson Lucky King Bun serves gigantic buns with curry inside. These giant buns are much loved by the locals. For tourists, these are quite interesting local delicacies. The small establishment offers four types of buns: herbal chicken, chicken curry, crab curry and their new Yin Yong flavor, which has two pork flavors inside—Dongpo pork and pork ribs curry. Kedai Makanan & Minuman Mian Jiu, Lukut, Port Dickson The establishment serves la zha mee, which means “dirty noodles” but the name was once meant to tell diner that their noodles come in various flavors. Today, it’s a famous local food joint for people who love noodle dishes. The fried noodles, which is a combination of noodles, pork and vegetable, is the most popular. Cendol Bakar Port Dickson Now this is a cool place to have dessert. Cendol is a traditional iced dessert and this establishment’s version is so popular that they have three outlets across Malaysia. Cendol Bakar offers six types of cendol and they’re quite inexpensive so you can sample as many as you like. PD offers food lovers a wide array of local delicacies to try—from small establishments all the way to beachside hotels—that will meet every foodie craving you might have. But if you want to see where the locals hang out and eat, do check out these places and get a taste of the local coastal life. Going out with children is never the same as going out alone. What entertains you may not be entertaining for your kid. Thankfully, Malaysia’s capital offers a lot of kid-friendly attractions and activities. Check out the following kid-friendly spots in Kuala Lumpur, and fill in your kids’ time with lots of school holiday activities. Ilham Gallery. Teach your kids art appreciation while indulging their creative side. Ilham Gallery’s Tours for Tots is especially geared towards children, letting them experience the joy of creating art forms. The tour starts with a welcome song and ends with a gift bag full of craft materials. Along with the tour, your child can sculpt and take self-portraits. Registration for the tour opens every 11 am from Tuesday to Sunday. Petrosains Discovery Center. An interactive place spanning 7,000 square meters, Petrosains is sure to stir up your child’s curiosity (and your own, too). It is located on the fourth floor of Petronas Twin Towers, and dedicated mostly to petroleum science. The place is laid out like a museum, showcasing everything from fossils to remnants of the space age. The place is especially popular for schoolchildren since it opened doors in 1999. The center opens every 9:30 am from Tuesday to Sunday. KidZania. Fulfill your kid’s dream job, even if just for a day. KidZania is laid out like a mini city, complete with replicas of offices, equipment, and even cars. Within it, your child can take over any of the 90 jobs that run KidZania. Let them be anything from a lawyer to a secret agent, from a pilot to a doctor. This is the perfect primer to the working world of adults. KidZania opens at 9 am on Sundays to Thursdays, and 10 am on Fridays and Saturdays. Skytrex Adventure. Perfect for outdoor-loving kids, activities here range from ziplining over two lakes to balancing on high tree logs. You can get your share of adventure, too, as the place is an all-ages venue. Complete any of the 15 challenges available, and even walk your kid through the Little Adventure course. Skytrex opens every Tuesday to Sunday at 8:30 am. Berjaya Times Square Park. Located within the Berjaya Times Shopping Mall this is the largest indoor theme park in the city. Go here for a more relaxing time.The kids section is colorful and whimsical at times. Adults can enjoy the experience along with their kids for there are thrilling rides as well. The theme park opens at 12 noon on weekdays and 11 am every weekends and holidays. It all boils down to choosing which among these five would interest your child best. Kuala Lumpur offers lots of attractions for everyone. But you also have to ensure the safety of the children even as they have fun. These five attractions hit all the check marks in fun, child-friendliness and safety, so give them a shot. Setting up your own IT department can be very costly. The infrastructure alone will require an immense amount of investment. This is not to mention the fact that you need to hire IT professionals to run and manage the servers. The payroll for these technicians can cause a significant dent in your coffers. In a nutshell, setting up your own IT department is simply an option you don’t have if you are running a small business website. This is why it’s highly recommended that you consider entering into a colocation deal. You will have access to all the equipment, space, and bandwidth you need at a fraction of the cost. 1) It will save you a lot of money and resources. As we mentioned earlier, running your own server infrastructure is very expensive. If you choose colocation, you will cut the cost down for up to 80%. It will also reduce your management costs because you don’t have to hire professionals to manage the servers. Almost everything will be handled by the host company. 2) Your data will be more secure. Colocation providers will house your servers in protected data centers. They usually utilize security measures such as bio-metric scanners, codded access, closed-circuit cameras, alarm systems, and built-in software programs designed to prevent possible attacks by hackers. 3) You can easily scale your service up or down. If you are looking for server colocation in Malaysia, ensure that the provider allows you to scale up or scale down your services in short notice. This is especially true if you are running a business whose profitability is seasonal. 4) Your servers will be more stable. This means that your business website will always be afloat even if there’s a huge spike in traffic. In the event that it goes down, the colocation provider has the necessary manpower to bring your website back at the soonest possible time. 5) Recovery of lost data will be quicker and more efficient. There’s always the risk that some of your business data get lost or corrupted. But you don’t have to worry because colocation providers have security and backup measures set up to retrieve your lost data. In conclusion, colocation is a very viable alternative for your business website if you want high-quality servers without going through the hassle of setting up your own IT department. Colocation is cheap and it comes with a lot of benefits, some of which were discussed above. 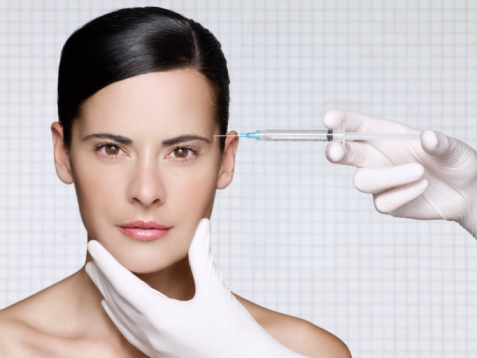 Botox might not get rid of wrinkles and lines. If you’re hoping that Botox could make you look younger with no ageing lines, you’d be disappointed. Botox has the ability to weaken a muscle for three to four months, and makes muscle contraction (which creates lines) harder, but doesn’t completely remove the wrinkles permanently. If you want to get rid of lines, a different filler like Restylane works better. Potential allergic reaction. Botox came from the bacteria toxin botulism, so there’s a chance of you having an allergic reaction to ingredients and preservatives used (depending on your immune system), even if you can’t catch botulism. Some of the reactions due to the use of Botox include feeling faint, asthma symptoms, welts, rash, and itching. Potential lopsided appearance. If you’re unfortunate enough to get an unskilled injector who injects Botox in the wrong part of your face, you’ll risk having a lopsided appearance. Undoing the damage will cost more, and will definitely pose an even greater health risk for you. To stay safe, your injector should be really skilled at administering the injection and be highly experienced. Overdoing. 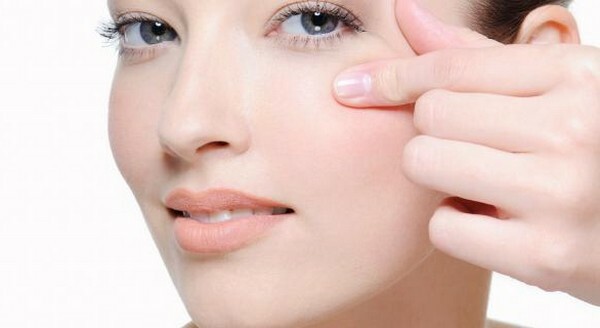 Botox could cause drooping and more. Even if your Botox injector is highly experienced and professional, you’re still at risk of having dropped eyebrows, especially if you’re overdoing it. Botox overuse could lead to weakened muscles, making your face appear unnatural. If Botox is over-applied on the neck, it’ll cause a side of your face to droop. In the worst-case scenario, you won’t be able to hold your head up or swallow. Other inconvenient side effects. Other side effects that you’re also at risk include loss of bladder control, difficulty breathing, trouble swallowing or speaking, vision problems, muscle weakness throughout the body, excessive tearing or eye dryness, drooling or crooked smile, cockeyed eyebrows or droopy eyelids, flu-like symptoms or headaches, and bruising, swelling or pain on the injected parts. If you’re still adamant about pursuing. Botox injection, make sure you’re getting a highly qualified injector with the right license. Stay away from the black market services offering cheap Botox injection. If you think the offer is too good to be true, you’re probably right. Ask around, do your research and find out about customer’s testimonies. Sports Party. If your kid is highly active, you can bring your child and his friends to locations that encourage physical activity. 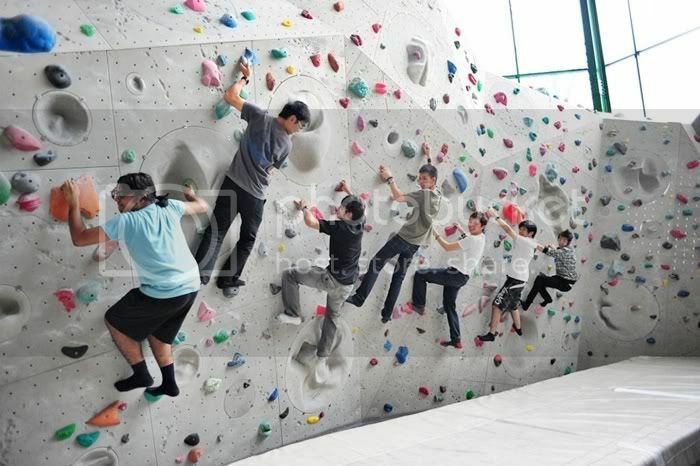 They can go wall climbing at Camp5 Climbing Gym, or they can spend their time jumping on the trampoline of Jump Café located at Jump Street. If you have a really big group (80 people or more), you can book Sunway Lagoon and have a fun-filled resort party. There are tons of activities in this resort which will make it super fun for the kids. Outdoor Party. If your kid appreciates nature and outdoors, it’s time to go on a birthday nature trip. Aquaria KLCC offers birthday party packages for kids aged 12 years old and below. You’ll be able to see around 5,000 marine animals, plus you can view their feeding exhibition, wherein turtles, eels and sharks come out to eat. Or you can go to KL Bird Park situated in the Lake Gardens. They also have a birthday party package which includes an interactive tour and a bird show. The party culminates with the slicing of a birthday cake and a surprise appearance of the park mascots. Learning Party. With this type of party, you hit two birds with one stone. Not only will the children have fun, they will also learn something new. You can throw a role-playing party at Kidzania KL. The kids can role-play various professions in a cute, small town for 45 minutes. If you want your child to appreciate the beauty of science on his or her birthday, Science Werkz is a good option. Instead of a clown, they will send what they call a “Mad Scientist” who will visit your home and make indoor fireworks, create slime, have a laser light show or even launch a rocket outside. There are a lot of activities and venues available today which can make you do away with the traditional backyard children’s parties. Thinking out of the box is definitely a must, particularly in making your child feel special on his or her birthday. Whichever you choose, consider safety and security first, especially since there are several children you would have to look after.